If you like any of the skins in here, just hit me up. Free give aways. 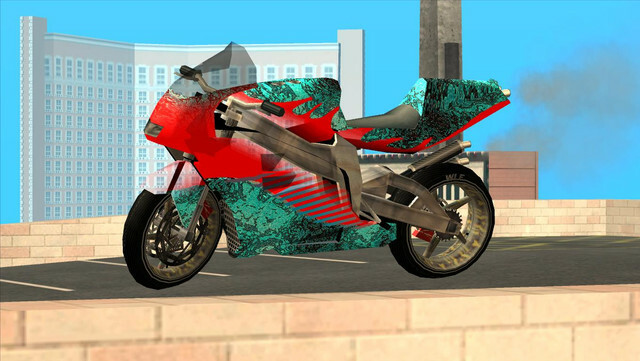 So at this one I feel fine with the alpha texturing, (ok, front fender is a little too much). Anyway, as long as people having fun while doing, I don't give a damn about old or new. I'm not a big fan of this precision target stunt things, but hey, I enjoyed watching. 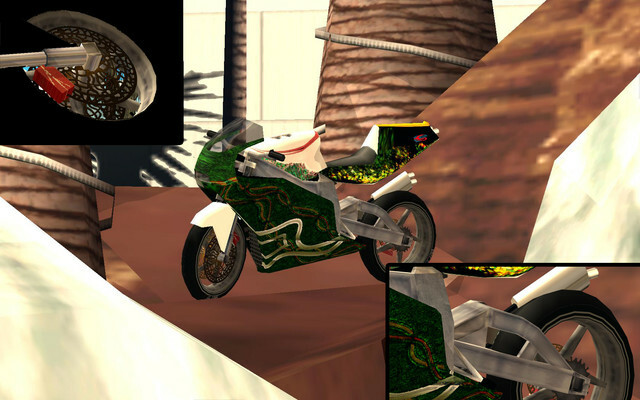 GTA Modding / Re: A new NRG, almost 10 years after. After I got those I created some randomly curved crossing lines and stuff, slapped some effects around to see/remember what the engine does with those - the basic image file got some way better/harder contrast levels and stuff I slightly reduced them to hit the level of the game's engine. Same on the "white" lines, those aren't that white as they may look like, they are actually pretty lime greenish with some decent alpha work behind. It's one of these "WIP and (re)learn to trash-bin" things I guess. GTA Modding / A new NRG, almost 10 years after. I think my style didn't changed that much, some here may remember. I'm still a lil sad I lost about 80% of my data before 2010 by a heavy HDD crash a few years ago - all GTA related things were gone. This time on oldschoolish SA and on computer. Also, if I'm right, there was a kinda double sided / mirrored / whatever version, to skin left/right sides of the NRGs different, just for texting reasons and stuff. V Videos / Re: Awesome stunt by "thesmithrecord". Yep, ye can place em, due Content Creator, whereever you may need them. They boost you to topspeed pretty fast. May check more about that in another topic, there are some around I think. It's boosted, so I don't like. Hate that constant blurry flashing editing style, I prefer some good cam angles and well placed but lower aggressive effects. calm easy feeling while watching, but not boring. very sweet editing. There are more of V that older parts combined?... well turn it to any side, idgaf. but all over, any day will someone reland a stunt for a different video again. As long as that person did it on his/her own and did not steal/copy/hack any replay data, it's fine. Stunting should be fun, if you got fun in editing too, make some videos - it's great as long as you got fun while doing it. while not everyone releasing the "almost same video" (with equal stunts an stuff) it's fine if a few stunts may repeat. As long its nice to watch, it's fine. Even if you create a video full of copystunts, it's also fine, if you make a clear point, it's purposed to be like that. Bringing these almost equal ones directly after another makes it kinda boring, just my opinion about. Always using what the game itself offers was the most blasting impressive stuff to me at any game, secondary vehicle bumps are also fine - thats also why stunt with modded vehicles been always kinda lame/boring to me (worked with VCs and SA handling configs a lot, so I knew it's options). But also back in SA (skiped IV) a placed ramp was also fine to me instead of a packer - as wrote before, while it's used the same way. not at any spacy-unreal-nowhere places. So I'll keep the ramps if needed (instead of packer), since also missing any vehicle spawning options at ps3/xbox. I'd prefer the classical packer way too, but why make a bit of stunting and fun that heavy in searching a packer for hours, getting a bike somehow and don't loose one of em due that despawn-distance-stuff? As said, to me it doesn't make a big difference, they may have different sizes and stuff, but give me the same thing in the end.